In a new film, famous Canadian designers from the ’60s and ’70s will finally get their due. Greg Durrell was working as part of the design team for the 2010 Vancouver Olympics when he first noticed a dearth of Canadian graphic design history. Durrell had been inspired to take the job in the first place by Georges Huel’s elegant symbol for the 1976 Montreal games, but sourcing other symbols of Canadian identity was proving difficult. “We were just falling flat in terms of finding that information,” he says of the research that started their three-year design project. After the Olympics were over, Durrell started to look back on the country’s design history in earnest and decided that it was time to anthologize designs from the 1960s and 1970s that influence Canadian design to this day. Over the past five years, those efforts have culminated in the documentary film project Design Canada, featuring interviews with the country’s leading design talent at the time. Durrell’s film is launching on Kickstarter today, and is being produced in partnership with design doc master Gary Hustwit and Jessica Edwards of Film First. Though not as well known as Swiss design or American corporate design, Canada does have a rich history of modernist graphic design. For example, Burton Kramer’s 1974 Canadian Broadcasting Channel logo is often grouped in with ABC’s logo—created by Kramer’s professor at Yale, Paul Rand—as one of the iconic symbols from the golden age of corporate identity design. Allan Fleming’s celebrated Canadian National Railway logo is still in use today. And several designs from Rolf Harder of Design Collaborative Montreal Ltd. are part of the permanent collection at the Museum of Modern Art in New York. With his film, Durrell plans to showcase the country’s achievements and design heroes who have been overlooked. He sat down with Co.Design to talk about some of the most important moments in Canada’s graphic design history, symbols of the country’s identity, and the Canadian designers everyone should know. In 1963, Lester Pearson ran for Canadian prime minister on a platform of national unity, which involved an effort to redesign the Canadian flag. When Pearson entered office that year, the proposal for a new flag incited a fierce debate among French-speaking and English-speaking Canadians about whether the flag should pay homage to the country’s colonial history. During a time period marked by partisan bitterness in the Canadian government, Pearson set up a 15-person bipartisan committee to rule on the new design of the flag. The committee sent out a call for designs for the general public, and received more than 5,000 submissions. After going through the submissions as research for the film, Durrell estimates about 2,000 of those involved the maple leaf in some way—a symbol associated with Canada’s native maple trees and maple syrup exports that had long visually defined the country, if not officially. Taking that volume as a consensus, the committee tapped Patrick Reid, head of the federal government’s exhibition commission, to carry out the design of the flag. Reid in turn gave it to his best designer, Jacques St.-Cyr. While previous versions of the flag featured several maple leaves and other decorations, St.-Cyr fought for the simplicity of the current flag: one large leaf that could easily be recognized at different sizes. These days, few can name St.-Cyr as the flag’s designer, but the clean, elegant, and unmistakably modern symbol is still celebrated as a brilliant piece of design. St.-Cyr’s design might be seen as a predecessor to one of the most important moments for modern Canadian graphic design: the centennial celebrations of the Canadian Confederation in 1967. With the yearlong celebration, Canada wanted to signal to the world that it was a global power and cultural destination. To do so, the government commissioned graphic designers not just in Canada, but around the world, to contribute. One such designer was Montréal-based typographer Carl Dair, best known for his seminal 1952 publication Design with Type, as well as the typeface Cartier, which he designed for the centennial celebrations. Since then, the font has been used so often for depicting regional association that it has taken on the unofficial status as the national type. One of the most famous designs to come out of the celebrations was the logo for the Canadian centennial, designed by Toronto designer Stuart Ash. At the time, Ash had just been hired by the printing firm Cooper & Beatty Ltd., which was commissioned to design the identity. Ash took it on as one of his first projects, and produced the colorfully geometric maple leaf that remains an iconic piece of Canadian design today. “This is one of those opportunities where if you ask [Ash] he’d say he got lucky,” says Durrell, who interviewed him for the film. At the time, Canada was composed of 10 provinces and the northwest territory. Ash represented those territories with 11 triangles that fit together perfectly to make up the shape of a maple leaf. “It was an example of design thinking and execution of design working beautifully and seamlessly together,” says Durrell. The main celebration of the centennial year was the World Fair held in Montreal, most commonly known as the Expo ’67. The event produced some of the most legendary examples of Canadian modernist architecture and design in the country’s history. “The year 1967 was all about Canada redefining itself, and Expo ’67 became an opportunity to showcase it to the world,” says Durrell. Expo ’67 was also one of the first examples of designers deploying a comprehensive wayfinding system for visitors making their way through the fair. The system was masterminded by Arthur, who is often credited with coining the term “wayfinding.” He was influenced by the pictogram system designed for the Tokyo Olympics in 1964. Arthur tasked Kramer with signage as well; his major contribution to the expo was using animal iconography for signs in the parking lot so people could remember where they parked their cars. 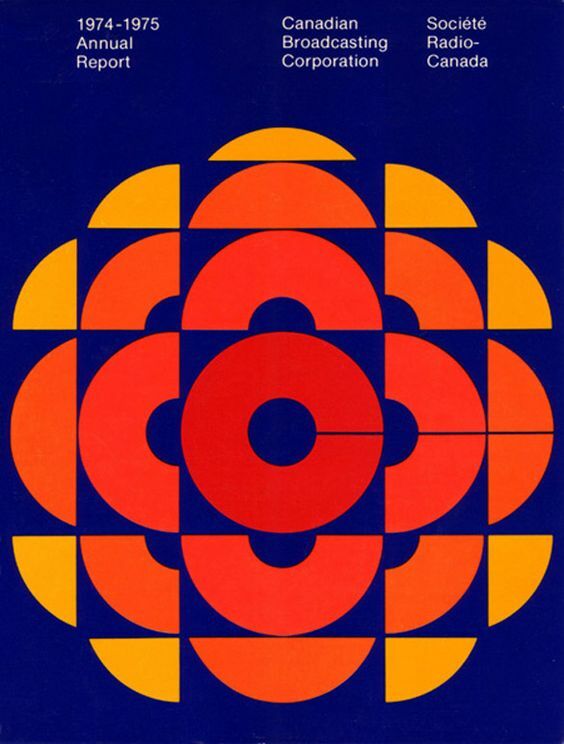 Kramer is perhaps the best-known Canadian graphic designer to come out of the ’60s and ’70s, thanks in large part to his famous logo for the CBC. Born and raised in New York, Kramer moved to Zurich in 1961, then Toronto in 1965 to work on signage for the expo. Today, he still lives in Canada, and his logos and corporate identity work are famous worldwide. When Durrell visited Kramer in his studio to interview him for the film, however, he found a wealth of materials that had largely gone unseen. Kramer pulled out from the archives work that spoke to a playful dynamic of his work that wasn’t as prominent in his corporate identities. There was the rejected poster design for the Society of Graphic Designers of Canada (GDC), for example, which depicted a person’s mouth with pencil stub hanging out of it like a cigarette, as well as his lively cut-and-paste advertisements for the Swiss department store Modissa.